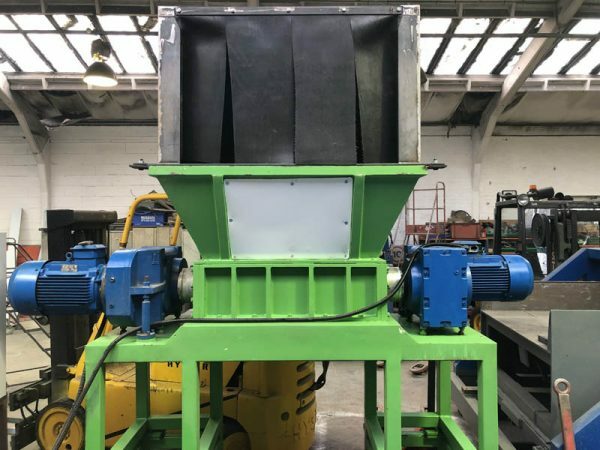 The Remcaw Twin Shaft Shredder is a versatile, heavy duty, double 22kw electric motor driven, twin shaft shredding machine, which can handle a wide range of applications. The twin shaft shredder uses three parallel shafts with 24 interlocking cutting discs, as a result the material is shredded both lengthways and crossways. 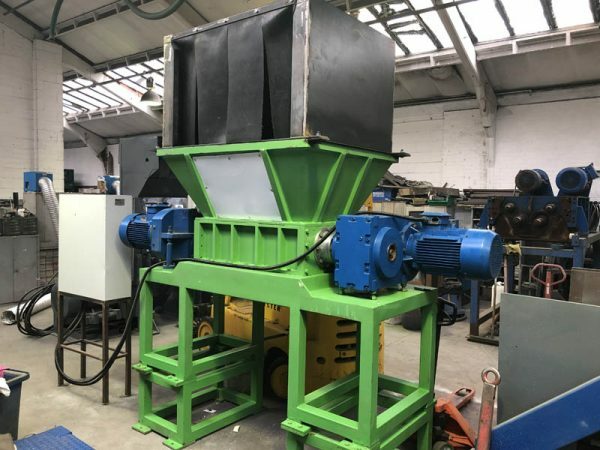 The 24 cutting discs have tipped blades which grab the material and pull it down into the 1000 x 500 mm cutting chamber, making it particularly effective when shredded large hollow containers. 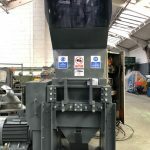 The machine is not fitted with a fixed screen which means that issues with screen bridging/blocking are avoided and a consistent throughput can be achieved. 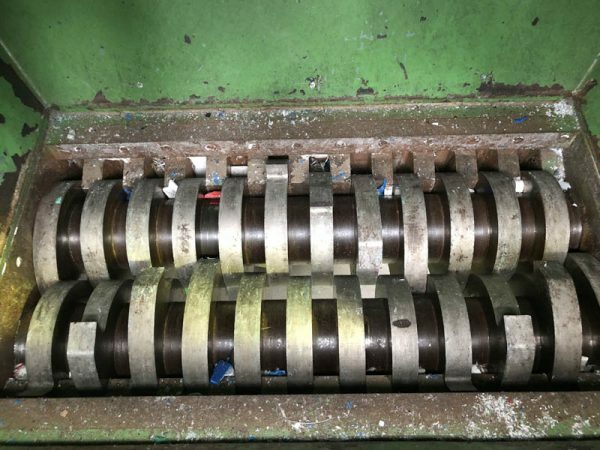 The product size is controlled by the width of the shredding blades, number of hooks, and hook profile. 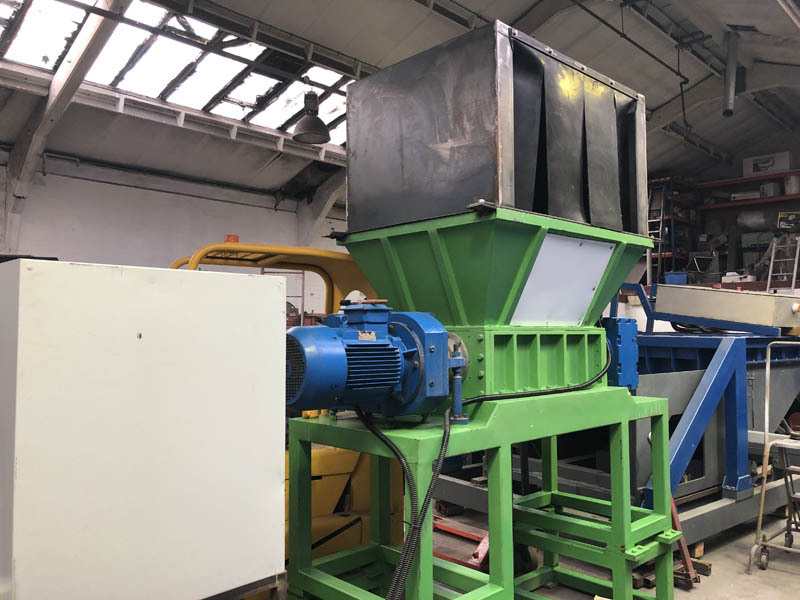 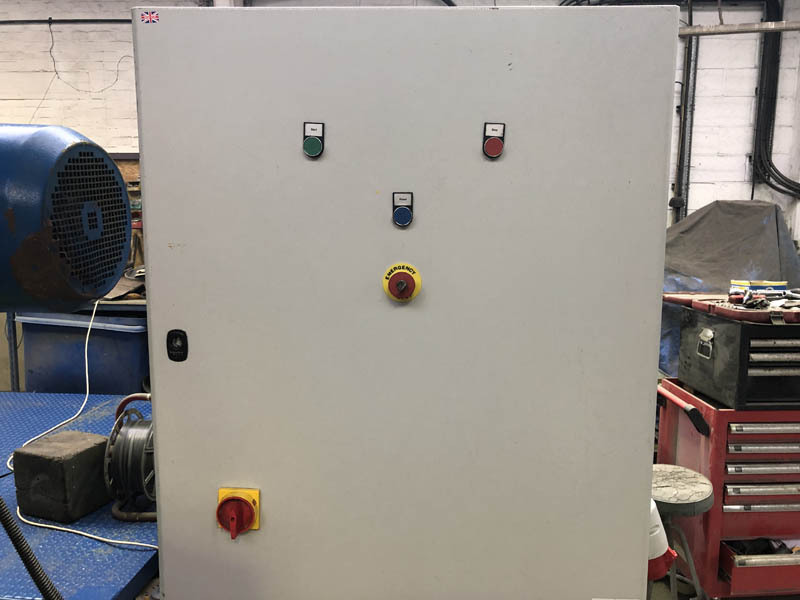 The Remcaw Twin Shaft Shredder is typically provided complete with loading hopper, support frame and stand-alone electrical control panel housing the electrical switchgear and PLC controller. 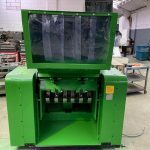 Get your FREE April Shredder Stock Lists!